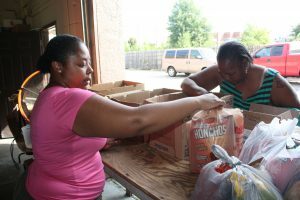 Local Food Bank Feeds The Community With B.R.E.A.D. Dorothy Lowery, President of B.R.E.A.D. Inc.
It’s no secret we live in a broken world. Bad things can happen. And they can happen to good people. It’s just the way it is. There are some things we can control. But that’s not always the case. Especially when dealing with the threat of natural disasters. Last month felt like one disaster after another. Hurricanes formed and hurricanes made landfall in a number of places domestically and internationally. No one was immune from its devastation. And then there was the massive 7.1 magnitude earthquake that hit central Mexico which left over 300 dead. It’s events like this that do pull people together. When large amounts of people are suffering at one time, the demand for aid is everywhere you look. It’s front page news everywhere you turn. It’s the lead story on the evening news. When many people hurt, people are compelled to give. And thankfully people do. But what about back home. What about our neighbors? Who looks out for the ones suffering that don’t make headlines? Who looks out for the guy who lost his job and can’t feed his family? Who looks out for the mother who can’t work due to a disability? Who looks out for neglected kids when their parents fail to meet their needs? Dorothy Lowery does. She’s been doing it since 1993. 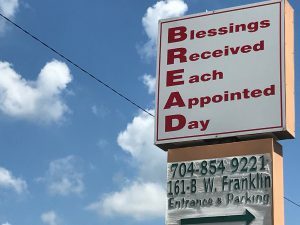 And even more so when she accepted the role of President of BREAD (Blessings Received Each Appointed Day), Inc – a Christian-based food bank in downtown Gastonia that provides food and groceries to those in the Gaston County area that need it most. Dorothy hasn’t always worked in town for the food bank. But she has always had a heart for giving. She spent many years working overseas conducting mission work in far off places like China and the Middle East. Until one day. She ran into a neighbor who had recently become unemployed and couldn’t feed his family. She asked herself, “Why should I go overseas when my neighbor is starving?” From that point, she made a conscious choice to focus her efforts on helping people locally. Dorothy knows her neighbors. And so does her hard-working staff. Collectively, they provide food to those in need over 10,000 times a year. And the amazing thing about it all – no one gets paid. Not even Dorothy. BREAD, Inc doesn’t receive any government funding at all. And while it is a Christian-based ministry, it is not affiliated with any church in town. It’s strictly run on generous contributions from the community – whether that be in the form of nonperishable food items or monetary donations. Running an organization like this might sound stressful to the average person. And it probably is. But this is Dorothy Lowery we’re talking about. 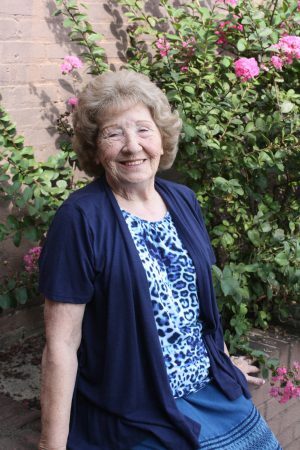 Approximately 15 years ago, Dorothy was diagnosed with congestive heart failure. Her doctor gave her 3 – 6 months to live. I guess you can say she had other plans. Instead of slowing down and taking it easy, she continued doing what she’s always done. And she still does it to this day. Because today at 90 years old, she’s still rocking on. She just knows the Lord will provide what they need. Every Tuesday and Thursday, individuals and families line up in Downtown Gastonia to receive food, drinks and snacks at the food bank. The demand never goes away. The supply does. But then, it somehow gets filled up again. With many disposable dollars diverted to other causes, not to mention the holidays right around the corner, the demand for assistance will only increase. The biggest needs right now are canned food items and monetary gifts to purchase meats such as hams and turkeys for the Thanksgiving and Christmas dinners they plan to distribute. But Dorothy doesn’t get stressed out. She doesn’t get worried. She knows God will provide what they need. “We start praying, and the Lord brings it”, she says with confidence. That’s faith. That’s also Dorothy – still working the mission field as she always has. Just this time, it’s in her backyard. For more information on BREAD, Inc. or to make a tax deductible donation, visit them online at www.breadfoodbank.com or call 704-854-9221. They are located at 161-B W. Franklin Blvd. in Gastonia.